Hey everyone! Hope you are all having a good week! I can't believe we are coming up to the final week of February already?! Where has this month gone? If you have only recently just followed my blog then you may not know that I have decided to do a musical playlist every month now. I am always coming across new music as I love using apps such as spotify and on twitter when someone posts a link to a song I always click on it as I think discovering and exploring different genres is really fun and interesting. I thought that doing monthly playlists would be a great way of introducing new songs to all of you as well as we all love music and discovering new artists so why not. 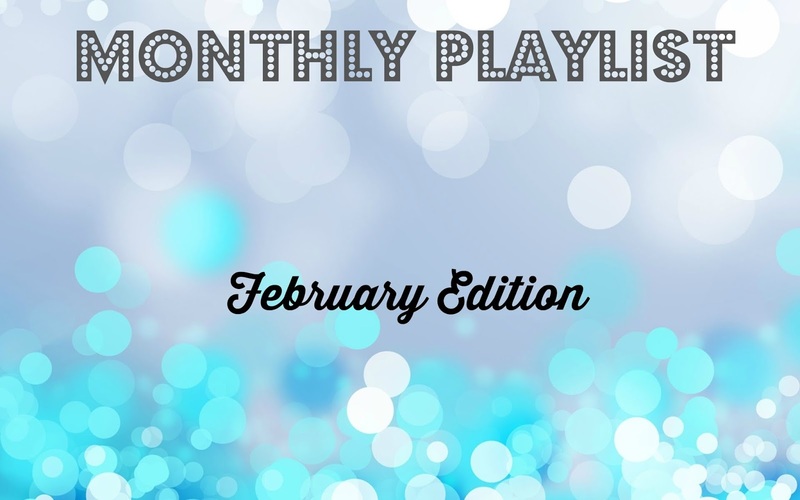 If you weren't a follower of my blog last month then you may not have seen my January playlist. You can check that out HERE. Below are all the list of songs I have been loving throughout February. Enjoy! Like before I will put all these songs into a playlist on spotify so make sure to follow me there. You can find me by typing in Fleur Danielle Griffin into the search bar and then you'll be able to see all my previous playlists and what I like to listen to. If you have spotify be sure to leave your name in the description below. What have been your favorite songs this month? I love Lea Michele, Ellie Goulding and Taylor Swift too! My playlist includes a lot of this songs. Haul | Beauty, Clothing & More!